The garden centers in the local hardware stores are starting to be stocked and I found this treasure in my local Lowes. 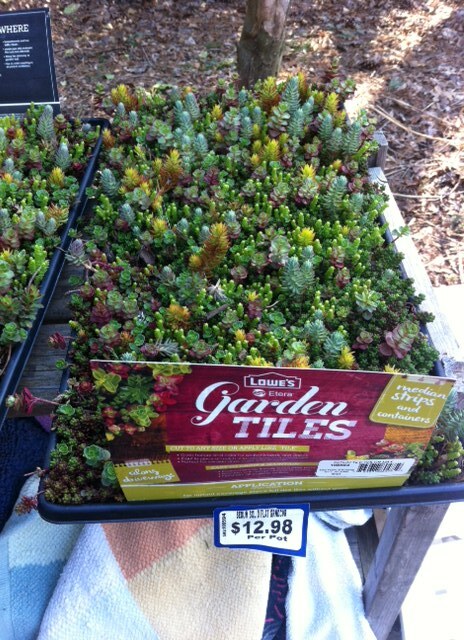 It is huge tray of miniature succulents. Would make a great living wall but also could be taken apart and the hundreds of baby succulents grown as miniature plants. Great price, too: $12.98. Dr. K – I just bought one of these today (the last one) at Lowes and the tray is so beautiful I don’t want to take it apart. They said more are on order and I plan to get more to play with. Thanks for your post – otherwise I’d never have found this wonderful treasure! I feel so guilty having bought 4 of them! Glad you got one. I hope the cold weather and rain don’t kill mine before I get them in the ground.